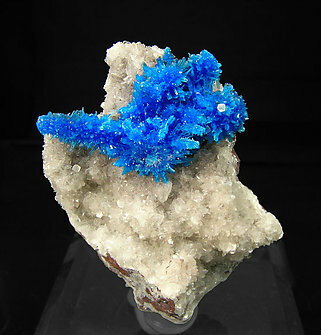 Centered growths of very thin and elongated, almost acicular, crystals with very well defined faces and edges and excellent color and luster. 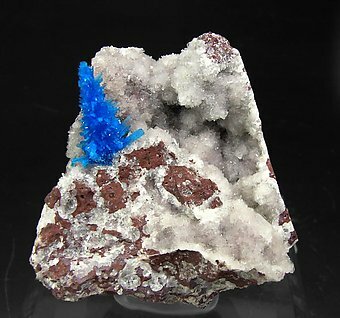 On a basaltic matrix with white crystals of Heulandite-Ca and Stilbite-Ca. Very acute and aerial growth of elongated and flattened crystals with very well defined faces and edges, excellent color and luster. On a basaltic matrix with white crystals of Stilbite. The sample has been analyzed and we'll send a copy of the analysis to the buyer. Centered growths of very thin and elongated, almost acicular, crystals with very well defined faces and edges, excellent color and luster. 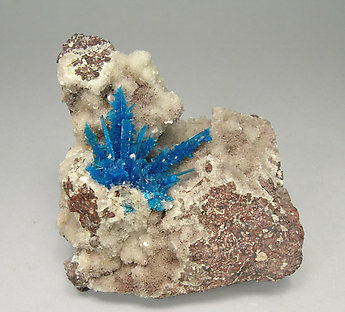 On a basaltic matrix with white crystals of Stilbite. The sample has been analyzed and we'll send a copy of the analysis to the buyer. A photograph of this specimen is on the front cover of book "Earth Science" (4th edition) published by BJU. 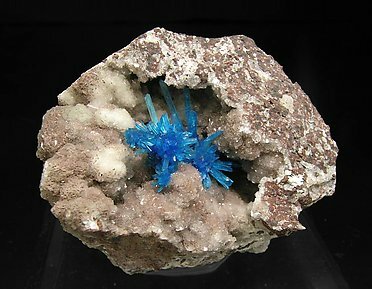 Growths of very thin, almost acicular, crystals of Pentagonite. 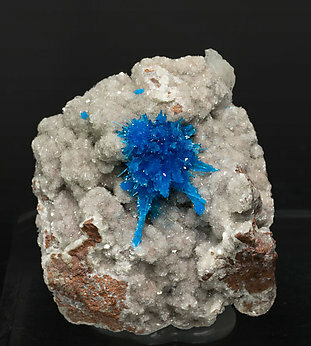 The group, of excellent deep color, is implanted on a matrix very rich in Stilbite.